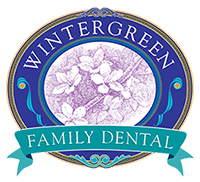 Dr. Huixin Wang, DDS, MS, is a warm and friendly dental practitioner who enjoys serving her patients all over the Montgomery County at Maryland with cosmetic and family dentistry. She welcomes patients of all ages, treats and cares for them like family, and provides exceptional care with exceptional skill. With Molecular Biochemistry Master degree, Dr. Wang provides her patients with peer literature reviewed dentistry and dental materials. Dr. Wang offers a wide variety of services to help patients preserve the smiles they have or achieve the ones they want. From routine cleanings, dental filling restorations, crown and bridges and cosmetic veneers to a variety of esthetic services such as teeth whitening and cosmetic skin care. Dr. Wang grew up in Beijing, China, and moved to Richmond in 2003 to study oral cancer at Virginia Commonwealth University. She received her Master of Science degree in Molecular Biochemistry at VCU Philips Institute of Oral and Craniofacial Molecular Biology and her Doctorate in Dental Surgery at VCU School of Dentistry. In 2015 Dr. Wang and her family relocated to Rockville, Maryland. Dr. Wang’s focus is a conservative approach to dentistry. She believes in providing comfort and empowering patients through information and different options of treatment, and access to the best and suitable treatment. When she’s not at the office, Dr. Wang spends time with her husband and two loving children. She continues to support and give back to the community, school, and church through numerous service offerings.